When Moses freed the Jews from 400 years of slavery in Egypt, God promised to give them an incredible and amazing future in The Promised Land. But the good plans that God designed for his people would only happen if they made the right choices. God says the same thing about our future today. We have freedom to accept or reject his will, to obey or disobey his commands, and to follow or ignore his great plan. Repeatedly, God tells us that he will not force us to follow the purpose he designed for our lives, nor is it automatic. He wants us to choose it. He wants us to choose life over death, hope over despair, and faith over fear. That’s why we are given so many options and opportunities to serve, give, and grow in faith. What we choose is the key to an effective life will lead us to the destiny God has planned. This month, our church family did just that — they made a choice to serve and sacrifice through Daring Faith. With just three months remaining in our 36-month giving campaign, our members are committed to finishing strong! A key component to meeting the “F” goal is expanding our reach to new communities as we strive to advance God’s kingdom. Illustrating this is Saddleback South Manila that is growing by the week! On February 4th, the three-year-old campus hit a major milestone by baptizing its 300th person. Saddleback South Manila is also actively looking to expand and secure more land. That’s not the only way Saddleback is filling God’s House! This month, our Social Media Team hosted weekly Facebook LIVE events related to sermon topics — with each online discussion averaging 60,000 views. Saddleback also reached 105,000 subscribers on our Youtube channel, yet another engagement tool to reach one more for Christ. ClickHEREto read about recent Facebook LIVE events and how one click can impact lives. One of Saddleback’s 500 ministries is the Local Anti-Human Trafficking Initiative, designed to raise awareness, educate, and offer hands-on opportunities to eradicate human trafficking. Built on Daring Faith, the ministry hosts support groups using the Daring Faith curriculum, and provides outreach events, emergency housing, and survivor recovery programs. That’s why this month the Anti-Human Trafficking Initiative hosted the first annual Survivor Celebration Retreat at Saddleback Rancho Capistrano. From February 9–10, survivors and their children came together for a time of rest, relaxation, and healing in a God-inspired environment. ClickHEREto read how the retreat offered a respite from their daily lives and a chance to celebrate hope for the future. Every year in Orange County, there are 50,000 calls to Child Protective Services, 1,500 children that are removed from homes, and 300 more children that seek adoption. That’s why Saddleback’s Orphan Care Initiative recently launched the “ZERO by 2020 Vision”. The overarching goal is to find a family for every child in Orange County by 2020 and equip the church to support them along the way. ClickHEREto read about the three-pronged strategy and how your small group can serve in this mission. In preparation for the June 2018 Purpose Driven Church Conference, Saddleback’s Video Team flew to Rwanda on February 6th to gather footage for the PEACE Virtual Reality (VR) Experience. While there, they gathered content for six videos demonstrating PEACE in action. ClickHEREto learn how this computer-generated simulation can “transport” church leaders to Rwanda and experience PEACE in a unique way. For over 14 years, Saddleback’s Counseling Ministry has been helping individuals discover Christ-centered answers to a wide range of challenges. To help meet those needs, over 500 volunteers recently registered for Saddleback’s Church Counseling Training — another step toward reaching our “T” goal. ClickHEREto learn how you can be equipped to help others improve communication, develop a biblical foundation for marriage and parenting, and deal with emotions including grief, loss, anger, and discouragement. To help reach our Daring Faith “H” goal, Saddleback members are sharing the PEACE Plan model with partnering churches around the globe. From February 17–20, these International Partnering Churches (IPCs) united with influential pastors from African countries during the All-Africa Pastors’ Gathering in Kigali, Rwanda. The event was designed to offer tools for equipping the local church to start a movement of strong healthy churches and transformed communities. ClickHEREto read how the gathering served as the impetus for new partnerships, and built momentum toward catalyzing 54 nationwide movements. Thank you for your commitment to Daring Faith. YOU are the reason we can make a difference through these five God-inspired goals.HEREis just one story that represents hundreds of lives that are being transformed because of your sacrifice. 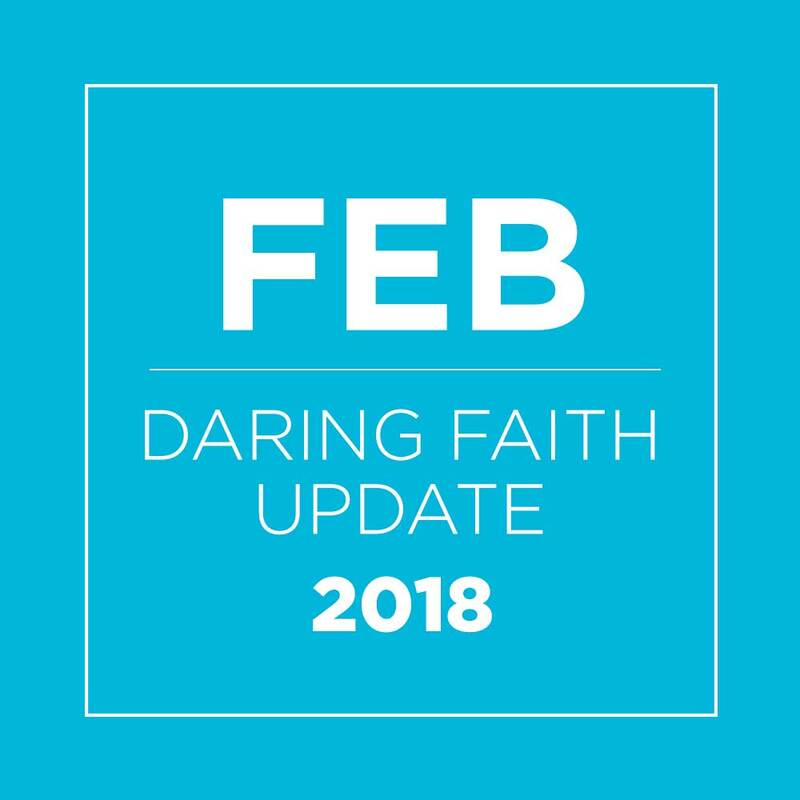 To start giving to Daring Faith, make changes to your commitment, or simply learn more about how Saddleback is making a difference around the world, visitsaddleback.com/daringfaith.